Located south of Rexburg in the community of Archer is Big Jud's Country Diner. Big Jud's Country Diner is like nothing anywhere. They serve a one pound hamburger with real Idaho french fries. 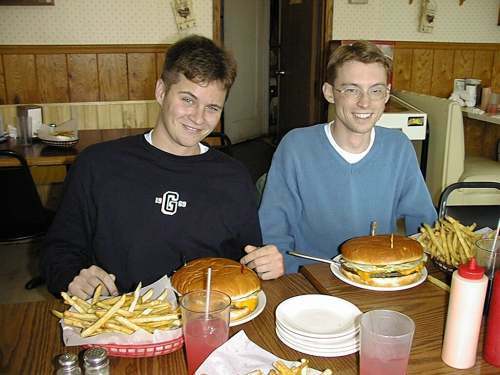 President and Sister West have started a tradition that if you ever visit Rexburg, we take you to visit this culinary wonder, this gastronomical marvel, an epicurean event without par, and just a down right good hamburger. Below are pictures of those who have partaken of this sumptuous feast. Having thus participated, they have become members of the BIG JUD'S CLUB. 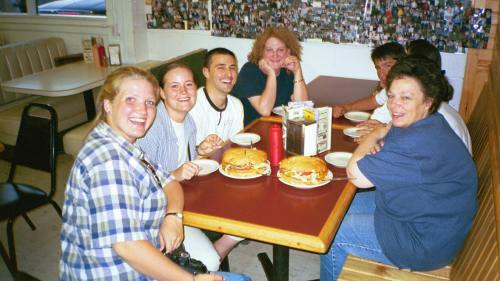 Laura Pack, Misty Porter, and Joseph Gabriel shared this experience in the late summer of 2000. Grayden Ridd and Ryan Curtis undertook the challenge in January 2001. Do they look like they are up to the challenge? Pausing for a final parting moment after diner to enjoy the ice cream are Ian Olsen and his sister, Shane Bassett, Brian Francis, Andrew Boyce, Nathan Schanze, and Erik Cornelson along with friends. Drew Cutler and Erin had to leave earlier and were not included in this picture. April 7, 2001. 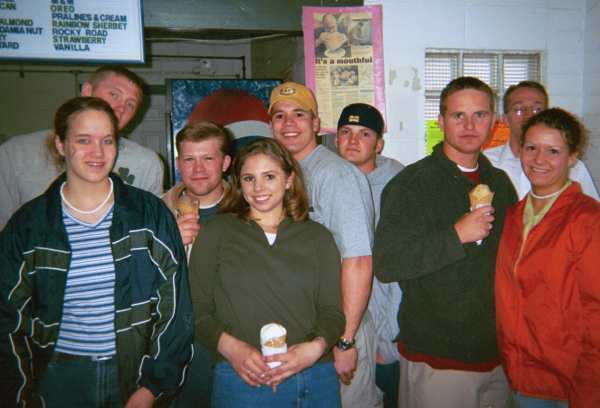 On April 2002, we held a reunion for those in the Rexburg area. 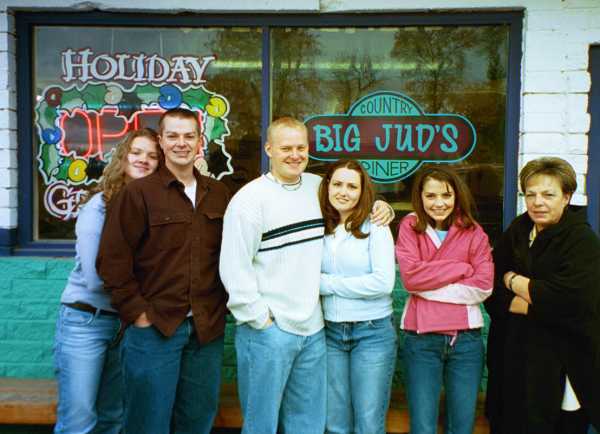 Traditionally we have held this reunion at Big Judds Country diner. This year only Alan Harwood was able to attend. We had a great time visiting. In October 2002, we held a northern missionary reunion. Richard Burnham and his wife attended. Everyone enjoyed the delicious Big Jud hamburgers.